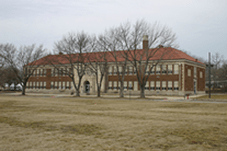 Are public schools doing enough or are they trying to do too much? My question then is, Does the free public education in our country need only be of a “measurable” gain instead of maximizing the potential of each student? Does this sound like asking for a mere measurable gain? Perhaps a free and appropriate public education is not meant to give each student the maximum educational benefit. So what is the purpose of free public education in the United States? Should the state provide just the foundation or should they provide “those qualities which are incapable of objective measurement but which make for greatness … (Sweatt v. Painter)”? Russo, C. J. (2006). Reutter’s the law of public education (6th ed.). New York, NY: Foundation Press. BOARD OF EDUCATION OF THE HENDRICK HUDSON CENTRAL SCHOOL DISTRICT v. ROWLEY Supreme Court of the united States, 458 U.S. 176 (1982). BROWN v. BOARD OF EDUCATION OF TOPEKA Supreme Court of the United States, 1954 347 U.S. 483, 74 S.Ct. 686, 98 L.Ed. 873. This entry was posted in Brendan Murphy, education, reform. Bookmark the permalink. My sister is mentally handicapped (and now is age 60). Because of the kindness of government she was allowed to progress with “normal” children through elementary and high school. She can read and write pretty well, but she can not function as a member of society without supervision. While I am very grateful indeed for what the system did for her, I am not concerned that some “full potential goal” was not set for her. In my opinion an education is not something that should be force-fed to young people. Every piece of evidence I have, from experience and reading, indicates that they resent being made to participate in school. My own granddaughter just graduated from high school and she feels liberated. She clearly hated school with a passion. I feel that education will not be a success in America until it is viewed as a privilege and not a duty, IMHO. Thanks for the response. If we teach the very basics of education, just reading, writing, and basic math students can easily be finished by 8th grade and many can be finished earlier. Should high school become an education people have to earn? Should high school become an education people have to earn? I say no, life is hard enough for inner city children and the underprivileged. The opportunity for a good education should be the contribution of society, collectively, with regard to cost. It is in society’s interest to have a well-educated citizenry and well worth the investment. When I say that education should be viewed as a privilege I am saying that it should be earned by hard work and self-discipline. I believe that if school systems become willing to fail students who don’t exhibit those qualities, then education will be seen by both parents and students as a worthy goal and not an onerous obligation. Thanks for joining our local Joplin, MO “fray” in our blogs. They get “spicey” from time to time. I also note that you are still in the education pipeline to become a “professional educator”, my phrase. Our local Superintendent of Schools has such a background. He has his PhD, etc but very limited experience (4 yrs) in the classrooms as a teacher. The key point in your blog, as I read it, was a discussion of the real goal(s) of public education. To me that is key as we ponder the problems of public education today in America, huge problems as I see them in terms of the quality of the “output” of our students. The complexity of society has increased exponentially since I graduated from high school in 1960. Yet over those 50 years it seems to me that the BASIC level of knowledge for high school students has plummeted, dramatically. Many cannot read, write of do simple arithmetic to be able to “function” in today’s society, in my view. Also based on my 8 years of substitute teaching in two different MO counties and various schools (middle and high school but no elementary) in those counties, I see the problem in terms of at least 50% or more of our graduates (forget if you will the dropouts) are less than proficient by any reasonable standards today. Kids simply do not know enough and/or understand “acceptable behavior” in a social environment to make a reasonable contribution to society. Instead they graduate and immediately become drags on society and remain that way for their adult lives. Now I completely ignore the “special education” requirements in this discussion. It is way beyond my experience or expertise. What I am very concerned about however is the 50% or higher that graduate from our public K12 system in America that are so far behind on the day they graduate that their ability to “catch up” is limited or non-existent. The simple goal of K12 public education, to me, seems to be to produce graduates that will be productive members of society, contributing to that society in taxes, the manner in which they raise their kids, lack of violence, ability to work hard at a good and productive job AND be able to join the political process in a democracy to make wise choices for the good of all Americans, not just their “slice” of America. How we achieve such goals in K12 public education is beyond me but at least that should be the goal, a tough but historically achievable goal in America of the past, in my view. Thank you for responding. After a decade in education, almost 8 in the classrooms so far, I wonder what level of education is necessary to allow a person in today’s day and age to be a productive member of society? do I just need to be able to read to be able to join the political discussion or should I be taught how to critically think about what I read? If my skills are to work hard without violence will I be able to find and keep a job, while supporting myself and a family?